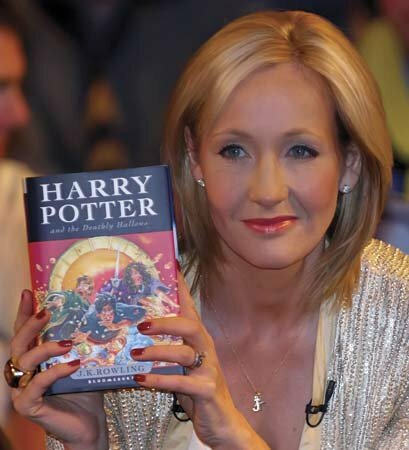 Two of England’s biggest literary and film series have breached into the real world with functioning businesses straight from their respective magical worlds. After the break, learn about the Harry Potter Shop at Platform 9 3/4 and The Green Dragon Inn from The Lord of the Rings. King’s Cross Station is one of the main railway stations to serve London. More importantly, in the Harry Potter novels and films Hogwarts students use the station to access their specialized train on Platform 9¾. A sign was put up for Platform 9¾ at King’s Cross in honor of the series, but now the station has gone one step further. Earlier this month, The Harry Potter Shop opened at the famous location to provide fans all their Harry Potter needs. Watch Warwick Davis, who plays Professor Filius Flitwick in the film series, open the store in the video below. For photos and more information, check out First Showing. For a more in-world experience, a new opening in Hobbiton might be of interest to you. Hobbiton is a tourist village in New Zealand, where all the Lord of the Rings and Hobbit films have been filmed, and it is both modeled after the town of the same name in Middle Earth. Just in time for the tourist attraction’s 10th anniversary, they’ve opened a pub called The Green Dragon Inn, just like the one featured in J.R.R. Tolkien’s series. 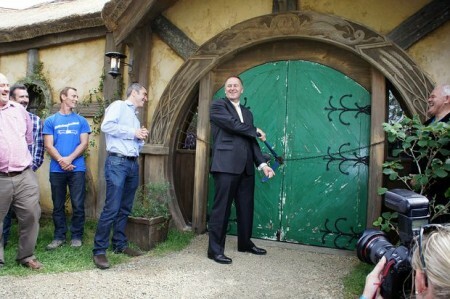 Below is a photo of New Zealand Prime Minister John Key opening the pub, and you can see a lot more photos over at Nerd Bastards.